Eight years ago, my world changed. Little did I know the rest of the world had changed with me. My name's Niko, and I'm a made wolf shifter. Eight years ago, I endured a blood ritual that took me from a pretty normal guy and turned me into what I am today. Ever since then, I've been looking for ways to make the world a better place. I want to save people, to make sure they never suffer like I did. Someone has been murdering born wolf shifters and using them in brutal rituals. I was given the opportunity to stop them and save lives. I leapt at the chance to make a real difference, but of course it came with a catch. I have to work with a Guardian, one of the goddess's chosen wolves. On one hand, he's everything I look for in a man. On the other, if he finds out who and what I am, then death will be a sweet release from the torture I'll endure. 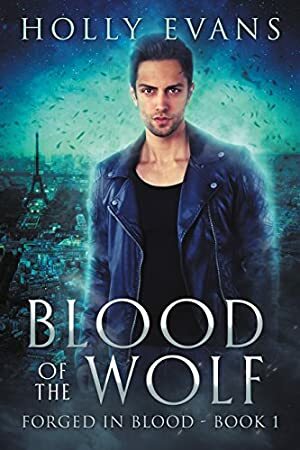 I have no choice but to hope the goddess is on my side as I rush to save the lives of the born wolf shifters, all the while praying I don't lose my own life in the process. Log In to track Holly Evans on eReaderIQ. to be notified each time the price drops on any book by Holly Evans. to stop tracking Holly Evans. We started tracking this book on March 28, 2018. The price of this book has changed 3 times in the past 394 days. The current price of this book is $3.99 last checked 14 hours ago. The lowest price to date was $0.99 last reached on May 11, 2018. The highest price to date was $3.99 last reached on December 2, 2018. This book has been $3.99 one time since we started tracking it. We last verified the price of this book about 14 hours ago. At that time, the price was $3.99. This price is subject to change. The price displayed on the Amazon.com website at the time of purchase is the price you will pay for this book. Please confirm the price before making any purchases.